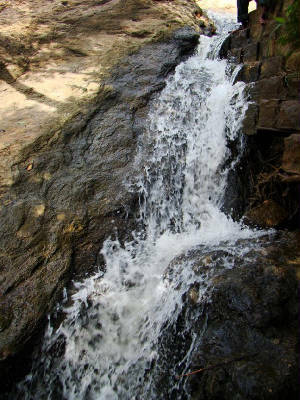 Thottikal Falls, famously known as TK falls is a small waterfall which is around 32 km from Bangalore city in Kanakpura road. The falls will not have much water in summer and hence better to visit in rainy season itself. A good spot for spending an evening. Road connectivity is there till the spot. 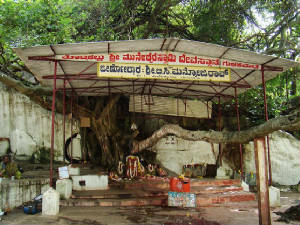 One Muneshwara swami temple is also there near the falls. You will not find any signboards to guide you through. If you get confused just ask the people around. No food or accomodation is available. Hence pack your food and go. Please do not leave the plastics there. Unfortunately the place is not that clean. Eventhough the place is remote and no good road is there, it will be crowded in weekends just like any other place around bangalore. So better to reach early morning to avoid the crowd. Some people there will ask for money telling that the land where the temple is thiers'. Sri Ravishankar aashram is one of the nearest place to visit. Taking left at kaggalipura few kms later you will get a junction. Go straight and take the first left. This will lead you to the falls. On the way you will get a man made bund where you can take a break.